Ready to see CaptureExec in action? Sign your team up for a free demo. While it’s one thing to understand how CaptureExec offers the features and capabilities that can improve your Capture Management team’s sales and pipeline management processes, it’s another thing to see CaptureExec in action. 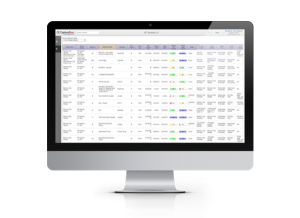 … and more, that allow you to manage both your Capture Management Team and your Sales Pipeline in just one system. What challenges do you hope that a new CRM will fix for your organization?